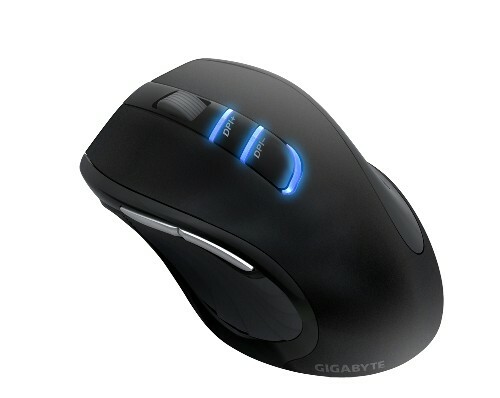 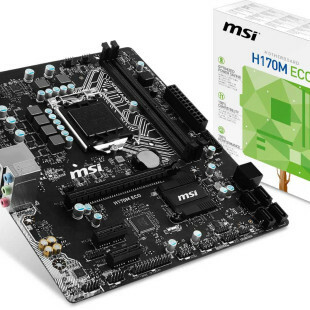 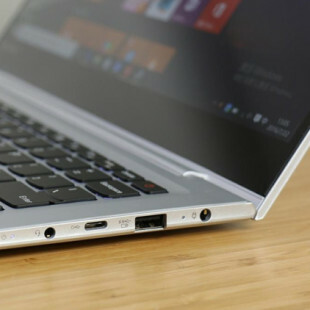 Gigabyte adds another rodent to its family which can runs up to 12 months with two AA batteries. 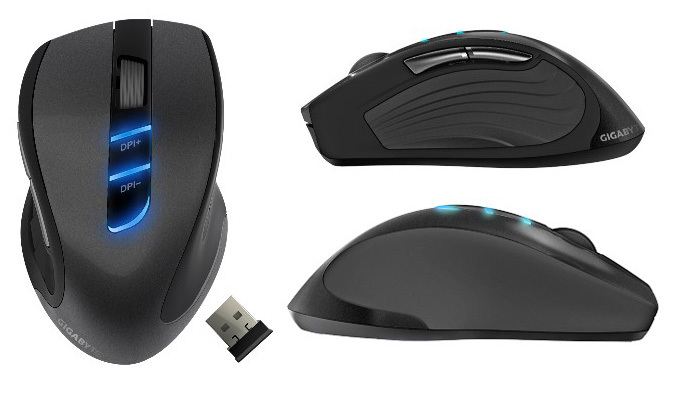 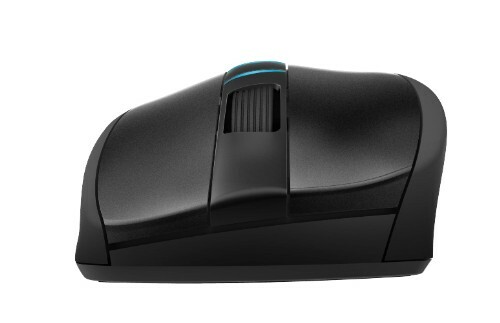 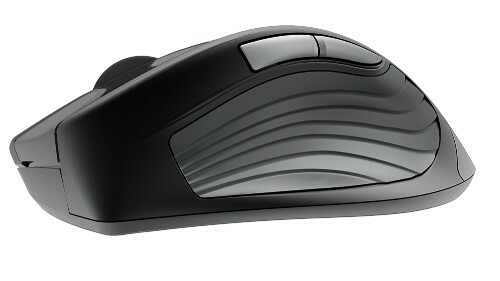 The new wireless mouse is called ECO600 and packs a laser sensor with a adjustable resolutions of 800, 1200, and 1600 dpi. 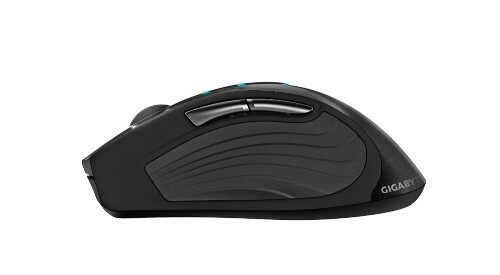 It has three stages blue LED indicator on top which displays current dpi settings, has five programmable buttons and rubberized sides for better grip. 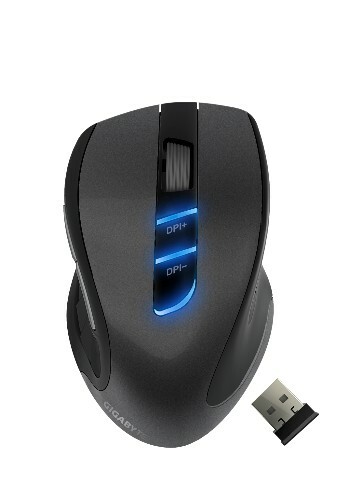 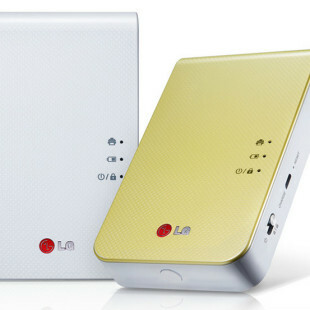 The mouse measures (L)124.5x(W)77.6x(H)41.8 mm, weighing 106 g without batteries and comes with USB nano receiver that can be stored into the mouse.